Do you want to wake up in your own home on a cozy street? 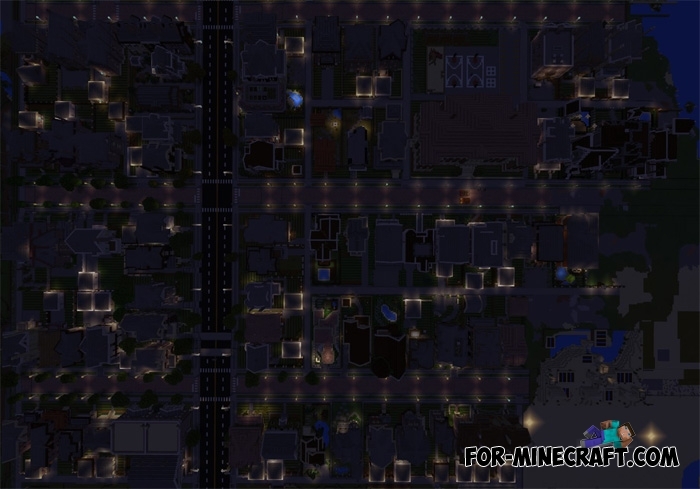 The Neighborhood is a MCPE map where you can feel peace and tranquility without using your building skills. The map includes many unique houses designed for average families. 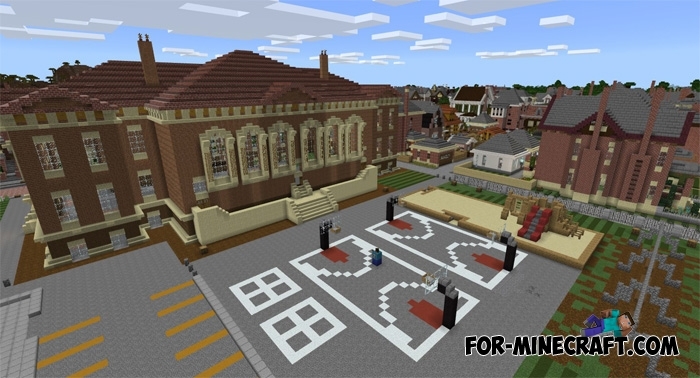 Of course, there are more expensive mansions here, but most of the buildings are ordinary and can be used as you please. Each one has a unique architecture and needs an interior. In fact, The Neighborhood is a place for peaceful living, especially if you invite a few friends. Everyone can choose a ready-made house and decorate it, and you can grow vegetables and fruits in the backyard.